I am embarrassed to say how long ago I tried the products I am going to mention in this post so it’s probably just best I don’t address that issue. Instead please find my reviews below of a few products I have tried and liked. Some of the products were sent to me for review, others I purchased on my own. Let’s begin, in no particular order. No7 Refreshing Toner: This product I purchased out of desperation. Two long airplane trips in a row left my skin extremely dry and parched. I tried to think of something I could do to bring extra moisture back to my skin in addition to my regular moisturizer. This toner did a great job at bringing much needed moisture to my skin. I recommend this product for someone looking for an easy yet effective way to get more skin hydration. Neutrogena sent me a number of products to try. Unfortunately most were strong, anti-acne products that weren’t right at all for my skin. The only product I tried, and loved, was the Neutrogena Cooldry Sport Sunscreen Lotion Broad Spectrum SPF 70. This sunscreen felt great on my skin. It goes on totally weightlessly, absorbs quickly, and didn’t leave any sticky residue behind. I highly recommend this sunscreen for use on your body. It isn’t meant for your face. The kind folks at Meg21 approached me about trying their products many moons ago. This company has an intriguing approach to anti-aging skincare – the main thrust of their message is that glycation is ruining our skin. “Toxic sugars” (their words not mine) are breaking down the collagen in our skin thus aging it. Their products contain an ingredient called supplamine that inhibits glycation in the skin thus keeping your skin looking young for longer. The company was kind enough to send me full size products to try along with a few samples. Overall I really liked the texture, ease of application, and how the products felt on my skin. The packaging for their moisturizers is great. Unlike a lot of moisturizers that are in containers with tops that come all the way off which then exposes the product to the air, these moisturizers were packaged in containers that had a top that did not come off. Instead you pressed down on the top in order to release the amount of product that you wanted to use. This way none of the moisturizer was ever exposed to the air. I tried the antioxidant serum (I can’t live without using an antioxidant serum each and every morning), the cleanser, Smooth Radiance Face Treatment, and the Smooth Radiance Advanced Formula. Though I definitely liked the way all the products felt on my skin I did not use them for long enough to be able to tell you if my skin looked any younger or fresher. I will say though that the science behind the products is definitely intriguing. If you are looking for a new and innovative way to fight skin aging these products are definitely worth trying. I grew-up near Chicago, and though now I live in a much milder climate I have certainly not forgotten those Midwestern winters (and honestly I don’t miss them at all). Even if you live in a place that doesn’t have winters as harsh as Chicago your skin can still go through a number of unpleasant changes during the colder months of the year. Luckily with a few easy tweaks to your skincare routine you can make it through the winter with happy, healthy skin. If your skin starts to feel extra dry during the winter one of the first things you should do is look at your facial cleanser. Now it the time to switch to a gentle, cream based cleanser. This type of cleanser is even fine for those people with oily or acne prone skin though people with this skin type might want to use a cleanser like this once a day in the morning as opposed to twice a day. Or if you really can’t give up your regular facial cleanser use a moisturizing toner afterwards in order to help balance out the drying effects of your cleanser. (I like Epionce Balancing Toner). Don’t stop exfoliating – just exfoliate less or with a gentler product. Don’t use harsh scrubs in the winter to exfoliate. Instead use scrubs with round beads not nut particles which can scratch and damage your skin. Or use a cleanser or serum with gentle acids in it like lactic acid. Lactic acid not only exfoliates but brings moisture back to the skin as well. When dead skin cells build up on epidermis (the outer layer of your skin) your moisturizer cannot penetrate and work as well as it should. As long as you gently remove those dead skin cells you are helping your skin and not hurting it during the winter. I cannot emphasize enough how important using moisturizer is during the winter. I’ve seen cracked, bleeding hands too many times to count. I can spot dry hands from a mile away (I’m only exaggerating slightly). Step up your moisturizing routine during the winter. First of all, don’t shower or soak in very hot water. I know this is a hard one, but hot water actually dehydrates your skin. Moisturize your body immediately after bathing when your skin is still a little bit damp (damp not wet). 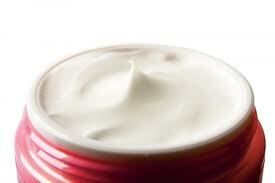 Switch from a lotion moisturizer to a cream based moisturizer. This is both true for the moisturizer you use on your face and on your body. Use a thicker and heavier moisturizer such as a body butter with shea butter or cocoa butter (look here for some suggestions for moisturizers to try) for your body. Put small containers of moisturizer by all your sinks so you can immediately moisturize after washing your hands. Use gloves when cleaning your house and washing the dishes. 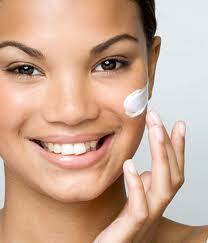 Be sure to have a small container of moisturizer with spf in it in your bag so you can even moisturize on the go. Gently exfoliate your body as well. I recommend dry brushing. Lastly, use a humidifier at home in order to add moisture back to the air around you. Just using a humidifier at home can make a huge difference for many people’s skin. My favorite thing that I have read about moisturizing in a long time is a post by Lab Muffin about how to layer your moisturizers for utmost effectiveness. Follow this advice; it will help you immensely if you are suffering from day winter skin. To get your lips back in kissable form, you need to first rid them of dry, flaky skin. After brushing your teeth at night before bed, try gently rubbing your lips with your toothbrush or a damp washcloth, then slather on a thick layer of lip balm to leave on while you sleep. 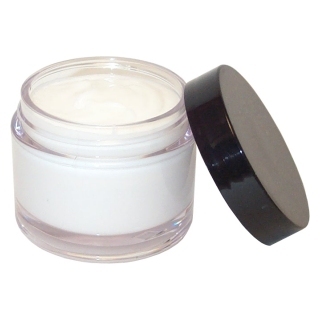 Look for a balm that contains moisturizing oils to heal your lips along with wax to protect them from further damage. If you’re going to be outside, pick a formulation with an SPF to minimize the impact of the sun. Use a thick ointment instead of a stick lip balm. Ointments help heal cracked skin, while sticks can be waxy and ,when dragged across delicate lips, can make them more irritated. Try Aquaphor (available at drugstores), Kiehl’s Lip Balm #1, or Jack Black Intense Therapy Lip Balm SPF 25. Some of my patients prefer to use sweet almond oil or coconut oil, which are safe enough to eat. Apply a thick layer before going to bed, especially if you wear a dental appliance at night. Some people who wear a night guard or retainer end up breathing though their mouths, which dries out the lips. Avoid matte and long-wearing lipsticks, which have a drying effect. Instead, rub a thin layer of ointment over your lips when you get up in the morning. Let it soak in, apply another layer, then apply a moisturizing lipstick or gloss. I like Chanel Rouge Coco Shine, Rimmel Moisture Renew Lipstick, and Butter London Lippy Tinted Balm. Avoid licking your lips. While it will temporarily moisten your lips, repeated lip licking will end up drying them out even more as the saliva evaporates. Also avoid picking or peeling off dead skin, since this can slow healing. If the chapping persists more than a few weeks, or if you see blisters or oozing, it’s a good idea to see a doctor. Nonhealing scabs or crusts can be a sign of an actinic keratosis, a potentially precancerous growth, while oozing can indicate an infection. Keep using your sunscreen! Our skin can still get sunburned and damaged even from weak winter rays. Keep using your sunscreen and reapply throughout the day as usual. Eat a diet rich in Omega-3 fatty acids. Foods such as salmon and nuts contain this fatty acid (DHA) which helps to restore moisture to your skin from the inside out. Have I Finally Found the Cure for Chapped Hands? You can follow the advice in this post or simply buy Epionce Medical Barrier Cream. This cream is amazing! It really cures chapped and bleeding hands. Your nighttime skincare routine doesn’t need to be complicated, just make sure to keep a few things in mind when planning out your steps. Before you go to bed make sure your skin is thoroughly cleansed and take the opportunity to treat your skin for any ongoing skincare issues. This treatment could be an anti-aging treatment or a hyperpigmentation treatment; it just depends on what your skin needs. First and foremost, you MUST cleanse your skin and remove your make-up before going to bed. I cannot emphasize enough how important this step is to making sure your skin is healthy and beautiful. If you wear make-up be sure to do a double cleanse in the evening. Make-up can be very stubborn to remove so when you wash your face twice you can be sure you’ve removed everything. Your first cleanse could be with a make-up wipe or a gentle cleanser and your second cleanse, if you need it, could be with a salicylic or glycolic acid cleanser. Before bed is also the right time to exfoliate. How your exfoliate is up to you; you can use a scrub, a serum, or a cleanser with added acids to it. Exfoliate at least twice a week. Some people can even exfoliate every night. Next treat your skin. If uneven skin tone and dark spots are your main skincare issue apply a serum that will help fade spots. If fine lines and wrinkles are your main concern use a prescription Retin-A or OTC retinol to smooth skin. If you suffer from breakouts apply benzoyl peroxide at night. Moisturize if your face feels tight and/or dry. Not everyone needs a moisturizer at night (or during the day). Go by how your skin feels in order to determine if you need a moisturizer. There is no needs to buy a specific moisturize labeled “nighttime” if you already have a moisturizer that you like. Howver, if your daytime moisturizer has spf in it I would certainly save that for daytime use only. Not that the sunscreen will hurt your face at night, but for the simple reason that you are wasting product meant for daytime by applying it at night. Consider sleeping on your back. It is actually true that sleeping on your side or stomach can lead to deeper wrinkles. 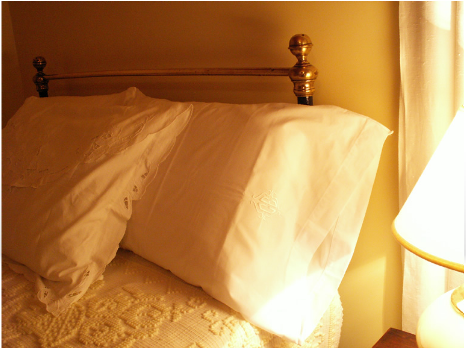 A satin pillowcase may also help keeps wrinkles at bay. If you wake-up in the morning with puffy eyes or bags underneath your eyes sleep with your head slightly propped up in order to allow fluid to properly drain instead of pooling underneath your eyes and giving you bags. And in order to look your best in the morning make sure you get enough beauty sleep. Getting plenty of sleep really can make a difference in your appearance. I read the article “Complexion Perfection: The Statement Piece of the Season May Be Your Moisturizer” from the November issue of Vogue with mounting horror. The article gives the reader a rundown of the newest and most expensive facial moisturizers on the market. By expensive I mean $490 for one ounce of a product (Guerlian’s Orchidee Imperiale Longevity Concentrate). La Prairie’s new Cellular Power Charge Night ($475) dispenses freshly oxygenated retinol from a silver dual-chambered pump reminiscent of the look of one of Balenciaga’s sleek geometric cuffs. Listen your skin is your best accessory. You wear it 24 hours a day, seven days a week. It’s not a bag you can retire to the back of the closet when it starts to look banged up. Now though I happen to agree wholeheartedly with the quote above, I could never ever use that as a justification to recommend that someone buy a $400 moisturizer or anti-aging serum. There is absolutely no reason to spend that much money on a skincare product! When a non-prescription product is priced at more than $150 I start to get suspicious about what you are truly paying for. Now some cutting edge skincare ingredients, like growth factors and peptides, drive the price of a product up dramatically you always have to look at your ingredient list to make sure that the ingredients that are meant to make a real difference in how your skin looks and feels are present in the product in a large enough percentage in order to justify you buying the product in the first place. Don’t run after the newest and flashiest products. Skincare companies constantly have to come out with new products in order to look like they are making great innovations irregardless if that is true or not. So definitely give a lot of thought to the purchase of a skincare product that costs more than $150. Consider your motivation behind the purchase – is there really proof to back-up the claims the manufacturer is making about the product or are you just chasing the newest thing on the market? Are You a Skincare Product Hoarder?